Calculations at a tesseract. 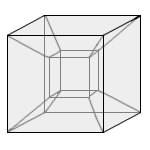 This is a four-dimensional hypercube, the expansion of square (2D) and cube (3D) into a fourth dimension of space. 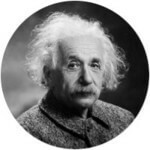 This doesn't exist in our three-dimensional world, but can easily be calculated. Enter one value and choose the number of decimal places. Then click Calculate. The edge length has a one-dimensional unit (e.g. meter), the area has this unit squared (e.g. square meter), the volume has this unit to the power of three (e.g. cubic meter). Hypervolume has this unit to the power of four.